The Bistro is open 7:00 a.m. to 3:30 p.m. during regular school days. Daily specials are subject to change. If your student is interesting in taking AP or Honors courses next school year, he or she must take a placement test for each subject. There is no preparation necessary to take these placement tests. The first test (English) takes place on Monday 4/29 and the last (Math) takes place on Monday 5/20. If your student has questions, please ask the teacher directly. 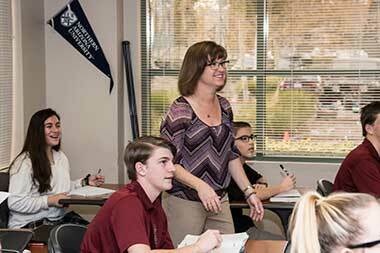 Download the AP and Honors Placement Testing Schedule for dates, times, and test locations. Calling all parents! Are you wondering how to show your appreciation for JSerra's teachers? Here's your chance! From Monday 4/29 to Friday 5/3, JSPA has organized special treats each day and it's all made possible by your support. Click here to sign up to bring your donations. As always, thank you for your generosity! Parents, don't miss our next Parenting on Tap from 6:30-9:00 p.m. on Thursday 4/25 in the Center Room. Fr. Robert Spitzer will speak on "Proofs for the Existence of God from Near-Death Experiences." Fr. Spitzer is the former president of Gonzaga University, the founder of Magis Center, and the host of Fr. Spitzer's Universe on EWTN. Social time begins at 6:30 p.m. with craft beer, wine, and light hors d'oeuvres. RSVP to Mrs. Jeanne Noonan at jnoonan@jserra.org. Bring your friends! All student-athletes are invited to get their physicals and complete the necessary CIF and school paperwork to be eligible for their sport(s) on Saturday 5/18. The cost is $35. In addition to completing the mandatory pre-participation physical exam, student-athletes may purchase additional optional assessments, such as a baseline brain scan ($55) or a cardiac screening ($85). The baseline brain scans allow for our medical staff to properly assess the student-athlete if he or she sustains a possible-concussive blow and know when it is safe to return to play. Click on the following links for more information: Athletic Eligibility, Athletic Baseline Brain Scan, and Athletic Physical Day. Each graduating senior is entitled to 6 guest tickets for graduation. Graduates are not included in that number, but all guests must have tickets. An email was sent out via Eventbrite this past Monday 4/8 at 8:00 a.m. for graduation ticket reservations. The email allows each graduating senior to reserve 6 tickets for the guests. If you have trouble accessing the Eventbrite email, please contact Maggie DeLain at mdelain@jserra.org. The registration deadline for tickets is 6:00 p.m. on Friday 4/26. Unclaimed tickets at that time are subject to reassignment. Actual hard tickets will be distributed to the graduates at the conclusion of Graduation Rehearsal on Thursday 5/30. The deadline for the senior video is approaching quickly. 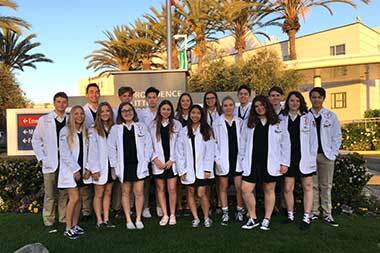 Parents and students have been asked to send in photos of Class of 2019 graduates and their friends from JSerra events for the senior video. 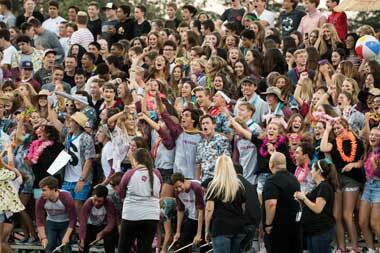 Photos must be from JSerra events or taken on the JSerra campus. Please send pictures to jserraseniors2019@gmail.com with the student's name in the subject line. You will receive an email confirmation with each submission. The submission deadline is Monday 4/29. Remember: if photographs are not sent in, the graduate may not be in the video. 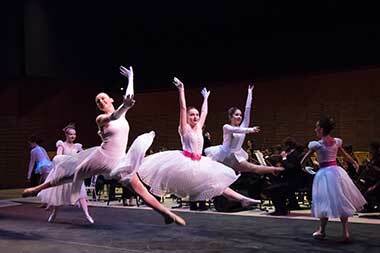 Get ready for a spectacular evening of music from 6:00-8:30 p.m. on Friday 4/27 in the JSerra Quad. Rock out to the Replacements at 6:00 p.m. and the Mane Event at 6:30 p.m., then kick back to enchanting arrangements from the JSerra Symphony Orchestra at 7:30 p.m. All of the music is space-themed with the rock bands playing such beloved tunes as "Starman" from David Bowie and "Rocket Man" from Elton John. The orchestra will play music about the planets by Gustav Holst and film scores from 2001: A Space Odyssey and Star Wars. Additionally, the Orchestra Arts Magnet students will be premiering a new film score to the 1902 silent film A Trip to the Moon. The concert is free for all. Food will be available for sale. Bring your lawn chairs or blankets and don't forget your jackets — it might be chilly! On Wednesday 5/1 seniors may wear college sweatshirts of the colleges/universities they will be attending this fall. Sweatshirts may not be worn at Mass (they may be brought to Mass and worn after). Dr. Courtney Harkins will be leading a round-table discussion for parents from 8:30-9:30 a.m. on Thursday 5/2 in the Center Room. A member of the JSerra Counseling Department, Dr. Harkins, Psy.D. is a licensed Marriage, Family and Child Therapist specializing in the assessment and treatment of children, adolescents, and their families. RSVP's are not necessary. Bring a friend and feel free to come at 8:00 a.m. to socialize with your fellow Lion parents before the discussion begins. Coffee will be provided! Join us for song and dance through the decades featuring soloists, small groups, Concert Choir, Advanced Women's Ensemble, and Chamber Singers from 7:00-9:00 p.m. on Friday 5/10 at Coast Hills Church. Tickets are $8 for students and staff, $20 for general, and $40 for reserved seating (best seats in the house!). Get your tickets today at jserra.org/popsconcert. Boys, grab your mom, grandma, and aunts for a fabulous morning of great food, games, prizes, photo booth, raffle, and speaker! 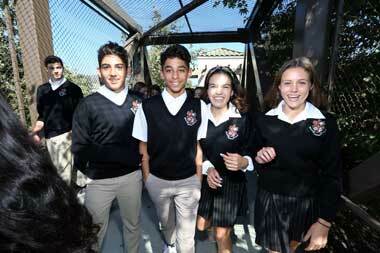 Join us for the annual JSerra Mother Son Brunch from 11:00 a.m. to 1:00 p.m. on Saturday 5/11 in the Center Room. For $25 per person, you'll enjoy all the brunch favorites: bacon, egg burritos, fruit, pastries . . . did we mention bacon?! Purchase your seats today at jserra.org/mom. Kids grown out of uniforms already? Don't miss out on some great deals at the Used Uniform Sale from 12:00-3:00 p.m. on Friday 5/17 in the Center Room. Stock up on essential items such as skirts, shirts, vests, pants, sweatshirts, and sportswear. All items are gently used and are only $5 to $20. Cleaning out closets? Drop off your gently used uniforms to the Front Office. All proceeds help support JSPA events. Sign up your student for a summer retreat conference with Campus Ministry! From Friday 7/26 through Sunday 7/28, we will be taking students to the University of San Diego to join 6,000 other young people from across the south western United States for a weekend of growth in faith, including relevant music, inspiring talks, and time of fellowship with friends. We believe this will be a truly life-changing event, and we expect God to move in powerful ways for all who attend. The cost is $265, which includes transportation, lodging, food, and admission to the conference. Get more info and register at jserra.org/steubenville. Club Applications for the 2019-2020 academic year are now online and ready for students to print out and complete. All new clubs must turn in their applications before Easter Break but the deadline for returning clubs has been extended to Wednesday 4/24 to Mrs. Chenault in Room #3217. New clubs will make their presentations during Period 6 on Wednesday 4/24; returning clubs do not have to present. Students will be contacted at their school email if they are going to present. IS YOUR STUDENT APPLYING TO JOIN THE ASG CLASSES? If your student is applying to join the ASG classes (Period 4 for freshmen and sophomores, Period 5 for seniors, and Period 6 for juniors), he or she must try out for a position. Tell your student to see Mrs. Michele Chenault in Room #3217 ASAP if he or she plans to sign up to be in ASG next year! Please join us for the Pro-Life Rosary Procession on Thursday 5/2 from 3:00-4:30 p.m in the Quad. Light refreshments will be served immediately following the procession. No need to RSVP. 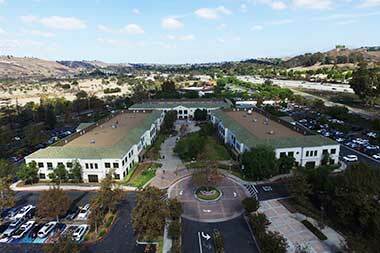 Families, don't miss the exciting opportunity to create a lasting memory at JSerra. Personalized 8" x 8" brick pavers are now being sold that will be installed at the Athletic complex — beginning with the main entry gate to the track and football field. This is a great way to recognize your student, special friend, or parent with a sentiment that will always be a part of JSerra. Learn more here. The deadline to purchase a personalized paver is Friday 5/10. Lion Engage offers exciting summer programs for middle school students who are entering grades 6-8 this fall. Lion Engage takes place 7/8-7/12 from 8:00 a.m.-3:00 p.m. For $350, students will get to choose two academic sessions and one afternoon activity. Our academic sessions run the gamut from engineering and marine biology to rock band and law. Just some of the fun afternoon activities include sand volleyball, basketball, choir, and photography. Click here to learn more and register — your child won't regret it! JSerra is offering dozens of high school and youth sports camps this summer. Click here to view the list of camps and schedules. Camps provide student-athletes with opportunities to grow their skills and enjoy the JSerra culture! Calling all Lion moms! You’re warmly invited to join our Moms in Prayer group that meets every Tuesday at 8:00 a.m. in the Campus Ministry room. Together we pray for our students, teachers, coaches, and administrators in both community and friendship. We’d love to see you next week! Don't miss the Orange County premiere of Hesburgh on Friday 5/3 with multiple showings that weekend. The film focuses on Rev. Theodore M. Hesburgh's inspirational journey as an educator, civil rights icon, adviser to popes and presidents, Congressional Medal of Honor winner, and Notre Dame president. View the trailer or purchase your tickets. The calendar is subject to change. For the latest updates, please refer to jserra.org/calendar. Follow us on Instagram and Twitter at @jserraathletics! Spring NLI Signing Day was today. JSerra recognized 8 graduating student-athletes as they committed to the school of their choice: Isabella Abusaid (Track & Field/Cross Country at UCSB), Ryan Arzu (Soccer at Boise State University), Caden Blyth (Football at Idaho State University), Samuel Brooks (Soccer at Concordia University Irvine), Jillian Kay (Volleyball at Emerson College), Christiaan Mosconi (Rugby at West Point), Parker Roseen (Soccer at Chapman University), and Zach Round (Football at St. Norbert's University). Congratulations, Lions! The Lions fell to Mater Dei 3-2 in a close away game on Tuesday. Sophomore Luke Jewett started in the circle for the Lions and recorded 18 outs. He lasted six innings, allowing six hits and three runs while striking out five and walking zero. Junior Jake Taylor went 2 for 2 at the plate and drove in one run on a single. NEXT UP: JSerra plays Mater Dei at home today at 6:00 p.m. in game two of a three-game series. The Lady Lions won both games at Katella on Saturday against Cerritos (7-1) and Pomona Catholic (9-0). In the JSerra versus Cerritos game, junior pitcher Taylor Caudill allowed one hit and zero runs over three and a third innings, striking out seven and walking zero. Freshman Paris Schwalbe, senior Mariah Bohl, junior Allison Steinker, and senior Danni Darrow each managed multiple hits. NEXT UP: The Lady Lions take on Santa Margarita at home today at 3:15 p.m. The team is also celebrating their seniors at today's game. Varsity Boys Golf topped Trinity League rival Orange Lutheran (200-203) in an away game on Tuesday. Junior Caden McMackin medaled for the Lions with a score of 33. NEXT UP: JSerra will host Santa Margarita at 3:30 p.m. this Tuesday 4/23 at Arroyo Trabuco Golf Course. The Lions are hosting the Trinity League Tournament this week at home. Sophomore Brett Batey advanced after Tuesday's first day of play. NEXT UP: The Trinity League tournament continued today at JSerra that started at 12:00 p.m. The Lions lost on Friday to Mater Dei in an away game 3-0 but improved with each set scoring 25-14, 25-16, 25-17. Junior Tommy Senske led in kills (15) and serving aces (3), freshman Andrew Rowan led in assists (20), and sophomore Josh Brooks and Senske led in digs with 7 each. 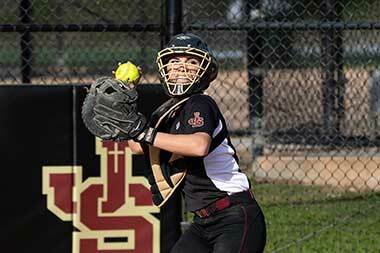 NEXT UP: JSerra plays Santa Margarita at home today at 5:30 p.m. The Lions fell to Santa Margarita in an away game on Tuesday 18-4. Two goals were tallied by freshman Cole Williams, another by Senior Blake Reed, and an assist from Reed to sophomore Carter Smith added a fourth goal for JSerra. Great effort by the team with several players sitting out due to injuries. NEXT UP: The Lions play Orange Lutheran at home today at 6:00 p.m. The Lady Lions won Monday's home conference game against Orange Lutheran by a score of 20-4. Sophomores Kennedy Mason and Paris Melberg led JSerra in scoring with 6 each to the back of the net. Mason had 3 assists and Melberg 1. Freshman Bridgette Montague added 4 goals to the board. Goalie freshman Jenna Nowland recorded 8 saves. NEXT UP: The Lady Lions have an away game at St. Margaret's tomorrow 4/18 at 4:30 pm. The Lions competed at the OC Championships on Saturday. The boys' team landed second place based solely on points earned by Senior Peter Herold (1st - 3200m, 1st - 1600m) and junior Anthony Grover (1st 800m, 2nd 1600m, 2nd 3200m). Herold was selected Distance Athlete of the Meet and OC Register's Boys Athlete of the Week based on his accomplishments at the championships. NEXT UP: The Lions are competing at Mater Dei today in the Trinity League Prelims, which began at 2:00 p.m. The Lions lost to Mater Dei on Thursday in a home swim meet. Freshman Lauren Ciborowski (12 pts.) and Junior Juliana Sum (10 pts.) were the leading scorers for the girls team. Ciborowski placed first in the 100 free (56.80) and 100 Back (1:03.86). Sum placed 1st in the Fly (1:09.87) and 2nd in the 200 IM (2:37.92). Leading scorers for the boys were junior Samuel Chan (9 pts.) and sophomore Kevin Cao (8 pts.). Chan placed 1st in the 100 Fly (53.77) and Cao placed 1st in the 100 Back (1:03.41). NEXT UP: JSerra travels to Santa Margarita today for an away meet that began at 3:15 p.m. The Lady Lions have not played since the previous Lion Lowdown Athletics report. NEXT UP: The Lady Lions play Newport Harbor today at Grant Street that began at 3:30 p.m. There are no club sport updates at this time but that doesn't mean you can't learn more about our awesome selection of club sports today!